Standing up for the interests of western Canadian farmers takes resources. Help us ensure YOUR voice is heard before it’s too late. Donate NOW. What if your government said your vote didn’t matter? Sounds like it must be happening somewhere else, right? In fact, it's happening right here at home: in the heart of Canada's prairies, to the people who produce the wheat, durum and barley that is treasured in Canada and around the world. The future of your marketing agency hangs in the balance. The federal government plans to introduce legislation to dismantle the Canadian Wheat Board in the fall 2011 session. Find out what’s at stake. 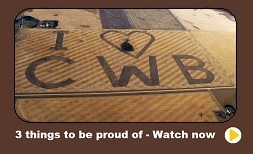 There’s a lot of misinformation about the CWB and the single desk. Here are some articles that drill down to the facts on producer cars, value-added processing, international trade and commodity markets. There is no open market, only a private market dominated by five giant companies. Section 47.1 of the Canadian Wheat Board Act guarantees your right to vote on changes to the CWB’s marketing structure.